Viltrox will launch 3 new electronic adapters for Sony E mount and Micro Four Third cameras. 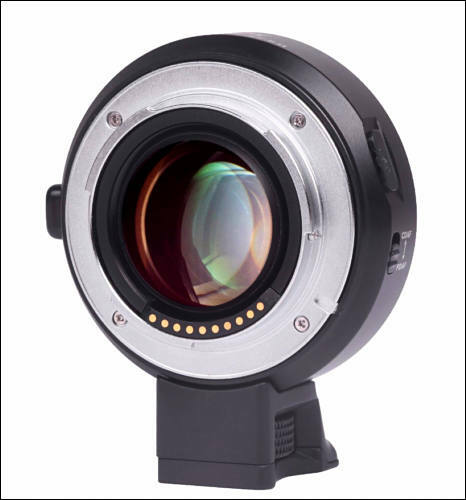 NF-E1 allows Nikon F mount lenses to be used on Sony E mount cameras. 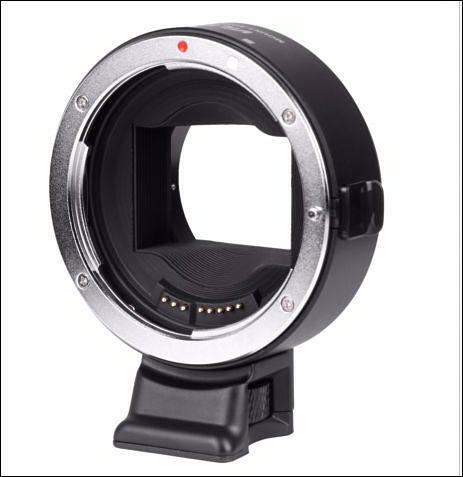 EF-M1 and EF-M2 are electronic adapters for Canon EF and EF-S lenses to be used on Mirco Four Third camera. EF-M2 also equipped with 4 elements in 4 groups which increase aperture by 1 stop and reduce focal length by 0.71x. All adapters come with USB port for firmware update. Retail price, product details and launch date to be confirmed. Please LIKE our FB page for latest announcement. what ? ....only 19 cents more for the focal reducer ? Had this been Apple it had been 100% more for simple one, as it looks more streamlined and premium without glass. ...and it's about $80 more expensive than their ef to e mount version ...go figure ? Let's see if the electronics work any better ! Optics are worse than my Zhongyi Lens Turbo II. electronics do not work for my a6500 and my tamron 28-75 and vintage sigma 28mm 1.8 lens. No AF, No Iris control. Any experiences with the a6500 or a6300? They had been on sale already, at least I remember posting deals. Not PV deals, I mean in shops. @vitaliy_Kiselev are you sure? I don't see it in deals june-august. I contact with one seller on ali, they said that cannot ship this item now. And I don't see any review on youtube. 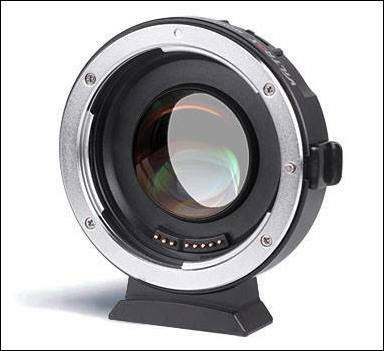 Viltrox EF-NEX IV is the fifth generation electronic adapter produced by Viltrox for Canon EF and EF-S lenses to be used on Sony A9, A7, A6XXX and NEX series cameras. Integrated USB port for adapter firmware update. Connect adapter to computer with USB cable and execute latest file download from official website. Fast and Easy! Manual switch to change between CDAF and PDAF mode. For camera to recognize new AF mode, adapter is required be unmounted from camera and attach again. Viltrox EF-E II Electronic Adapter (F Booster) is the 2nd generation of its kind since the end of 2014. 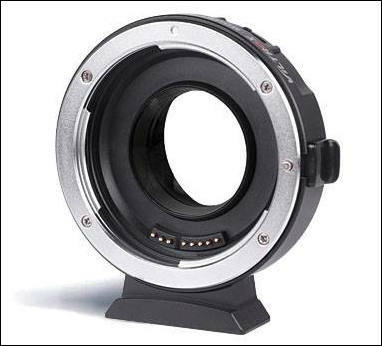 This adapter is designed for Sony APS-C camera and Canon EF mount lenses. Same as previous generation, the built-in optics increase light input by one F stop and also reduce focal length by x0.71. Same as the latest EF-NEX IV, the new F Booster also comes with USB port for firmware update and a switch to select CDAF or PDAF focus mode#. Contrast Detection AF allow Flexible Spot to be moved and focus across the frame and support Eye focus on specific camera#. Phase Detection Auto Focus gives faster focus experience on most lenses. High precision aluminum alloy with chromium plating on both mounting surface to ensure smooth installation and durability. Well, I see orders on top aliexpress link. that there are recent firmware updates for this exact model, but Viltrox website seems to be down and can't find any mirrors to the firmware. Considering returning it. A review just popped up on Amazon from another user who seems to be having same issues. Sure it could be resolved with a firmware, just cannot actually connect to site to get new firmware to test.